Starting a new business is never an easy feat but keeping that business around for two decades was an even bigger milestone. 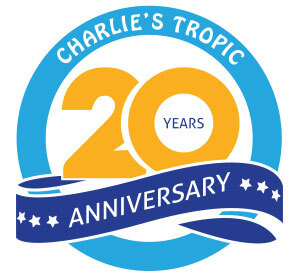 I am proud to say that Charlie’s Tropic Heating and Air Conditioning is celebrating its 20th anniversary this year. With this, I want to take a moment to reflect on the past and give you a glimpse into our journey from the beginning to where we are today. In 1998, I started Charlie’s Tropic Heating & Air after many years working as a service manager for a local AC company. It was this experience that provided me with the hands-on knowledge and drive to start my own company. Boy were things different then! Opening your own business is tough, so when I first started, it was just me handling phone calls, service requests, and installs. As business grew, so did our company. Within a year Charlie’s Tropic had grown enough for me to hire a part time employee for installs and my first full-time employee for maintence requests. Within the next four years the business had grown so much that I was able to turn over the phones and scheduling to an office manager. One of our major milestones was in 2006 and I remember it like it was yesterday. Until then, I had been sharing an office space with another company in the Mayport area. Everything changed when I was able to put down roots of my own and purchase office space for Charlie’s Tropic. One thing I couldn’t see coming was the rate at which we were going to grow. Within six years of moving into the new office we had outgrown it. I debated whether to move to a larger office or expand our existing office to fit our needs. Realizing that it was more important for us to establish a history in one location, I decided an expansion was the best option. This was one of the best business decisions I ever made. I believe that having good values is an important part of business. I have instilled in my company the values that I hold dearly as a business owner and Jacksonville local. Family values are highly regarded at Charlie’s Tropic. I make sure to treat each customer like they are a part of my family, as well as having my own family work alongside me in the business. My daughter and son-in-law each play important roles in our day-to-day operations. Charlie’s Tropic Heating & Air prides itself in providing great quality work at a fair price for every customer. Customer satisfaction is always my top priority and the top priority of everyone else here as well.